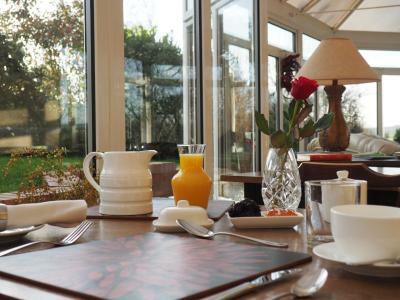 Lock in a great price for Elmfield House – rated 9.8 by recent guests! I could not fault Kirsty and her family enough. She was all very warm and welcoming and we were treated like family, being able to make ourselves at home for the whole stay. The tea and home made cake were an added bonus. We were greeted by the owner with a cup of tea and a piece of home made cake. Water and milk was available in a fridge at the top of the stairs. Lovely location, delicious breakfast and Kirsty is the perfect host. Warmest welcome ever. Lovely touches like toiletries, home baking, plenty chilled water. Phenomenal work by Kirsty and family who are able to account for a wide variety of needs and always happy to help out. The rooms are exquisite, and the location is perfectly secluded from any major roads thanks to a short side road. There is a myriad of breakfast choices for your mornings. You can even expect some lovely homemade cake to be waiting for you after an evening out! Very obliging host, great facilities, location and food. Very friendly staff. Quiet room. Secure parking remote from the road. The owner was very helpful. Tea and cake on arrival after a long journey was very welcome. The breakfadt was great. Goid quality ingredients and cooked to perfection. Lovely stay and would recommend. Look forward to staying again. Elmfield House This rating is a reflection of how the property compares to the industry standard when it comes to price, facilities and services available. It's based on a self-evaluation by the property. Use this rating to help choose your stay! Located in the countryside of North Yorkshire, this family-run bed and breakfast offers spacious, beautifully decorated accommodations. Guests are greeted with tea and home-made cakes. 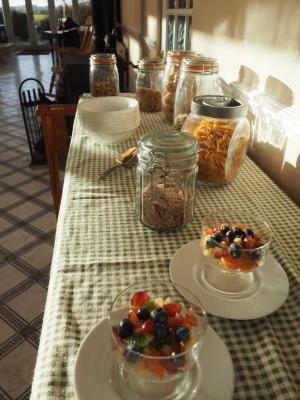 A delicious, cooked to order breakfast is served in the dining room where home made and locally sourced items are offered alongside quality cereals, fruit juice and pastries. 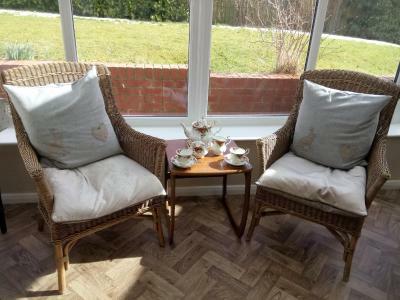 Guests are welcome to bring their own wine to enjoy while relaxing in the garden or conservatory. Fridge space, corkscrew and glasses are available for guest use. 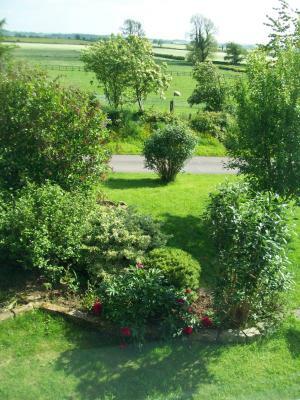 Based in Arrathorne, Elmfield House offers a peaceful location in Lower Wensleydale at the gateway to the beautiful Yorkshire Dales National Park. 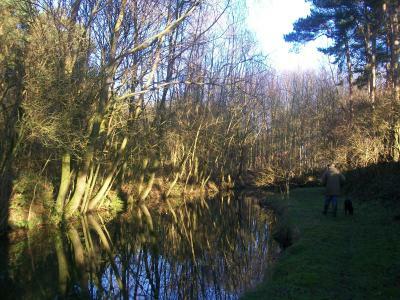 The North York Moors and the towns of Bedale and Leyburn are all within easy reach. 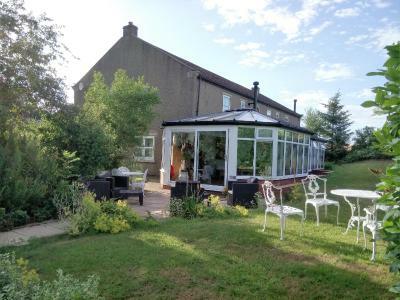 This property also has one of the top-rated locations in Bedale! Guests are happier about it compared to other properties in the area. 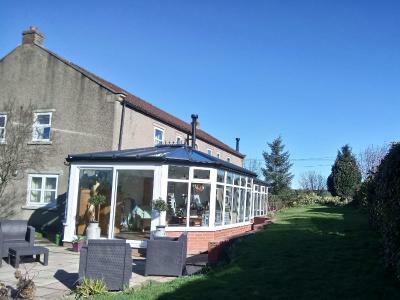 This property is also rated for the best value in Bedale! Guests are getting more for their money when compared to other properties in this city. When would you like to stay at Elmfield House? With far-reaching views of the surrounding fields paddocks, this spacious room features a seating area, tea/coffee making facilities, and free Wi-Fi. With views of the surrounding fields paddocks, this room features a seating area, tea/coffee making facilities, and free WiFi. This room can be made up with a super king-size bed or 2 single beds. Recently refurbished, this cozy room features a seating area with a sofa, an private bathroom with bath and shower, and a king-size bed. This room features a four-poster bed, seating areas and private bathroom. 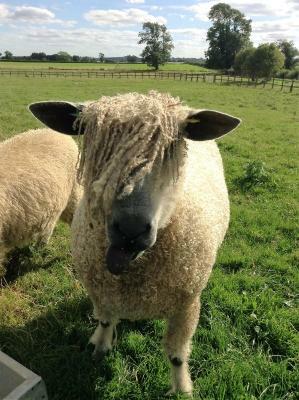 It also enjoys views over fields, a pony paddock and hills up to Swaledale. 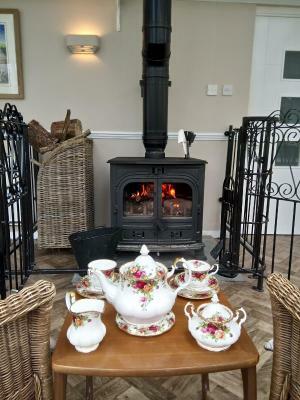 Elmfield House Bed and Breakfast enjoys a tranquil setting in the delightful Yorkshire Dales, nestled conveniently between the market towns of Bedale, Richmond and Leyburn. 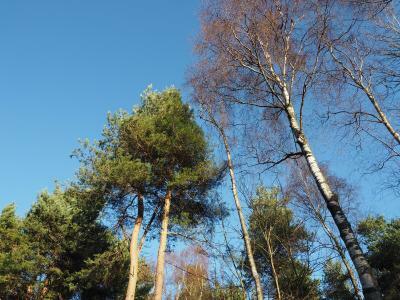 Set in 24 acres of paddocks, woodland and a nature pond we attracts a wonderful array of wildlife including wild ducks, geese, heron, kingfisher, pheasants, owls, kestrels, deer and foxes to name just a few. 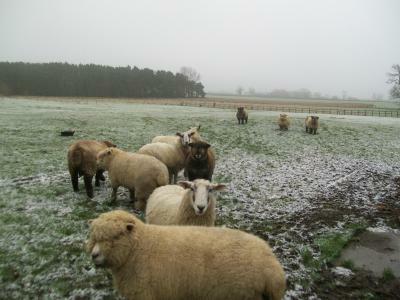 Living happily alongside these residents are a mixed flock of pedigree Ryeland and North of England Mule sheep. The house enjoys the privacy offered by an entrance, conservatory and hallways solely for guest use but our visitors are welcome to walk in the fields and woodland or try coarse fishing in the lake. 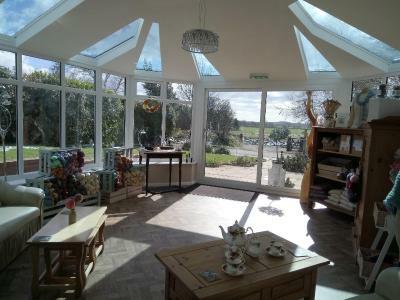 The a large conservatory with a recently installed log burner offers the perfect place to relax or socialise for larger groups. You will be welcomed with tea and home-made cake and are free to walk in the woodland and through the fields. House Rules Elmfield House takes special requests – add in the next step! Elmfield House accepts these cards and reserves the right to temporarily hold an amount prior to arrival. Please inform Elmfield House of your expected arrival time in advance. You can use the Special Requests box when booking, or contact the property directly using the contact details in your confirmation. Nothing, this was spot on! Nothing, couldn’t have been better! Would have liked a hand rail to make it easier for my wife to get in and out of the bath. Downside but understandable due to sheep, not being able to take our little dog. Good location, very friendly staff, clean room and a superb breakfast - we'll be back ! Kirsty was great, she was very flexible with check in and check out and couldn’t have been more welcoming despite our late night arrival. She made our 4 year old feel very at home with some bedtime books and even entertained him with a jigsaw so we could enjoy a lovely cooked breakfast! The room was spacious and comfortable with a modern clean bathroom and an extra bed put in for our son. Shame we only stayed one night on our way to visit family, we will definitely be back. Tasty breakfast, just the right amount. Comfy beds, spacious room and communal areas. Quiet. Plenty of parking. Easy to find. Friendly host. Altogether a relaxing experience. Nothing, all good news here!